however. today is a jay-z day. as is every december 4th. there is a point during every december 4th when i remember jay-z’s mother on track 2 of the black album: “shawn carter was born december 4th…” and my day is immediately altered. example: i’m currently at my favorite manhattan coffee shop (the one that didn’t screw me out of a job) writing a paper. i was listening to johnny cash and just chuggin along without any idea how my day was about to change. then i went to read my introduction and realized i hadn’t included the date in my header at the top of my essay. im not sure if there is any other artist that constitutes an annual musical adjustment to my life than jay-z. good thing i have 212 different jay-z items in my itunes on 8 albums, 1 accapella album, 5 mash-up albums and an additional 23 tracks as a featured artist. this translates to 14.2 hours of audio. ought to be plenty of time to get me through a day packed with article reading, studying and paper writing. i’ll leave you with three of my favorite jay-z tracks. also shawn wears scarves. i don’t have one. sigh. yet another great reason to go get one. – karlie likes guys in scarves. – it’s freaking freezing outside and i have to walk to campus. 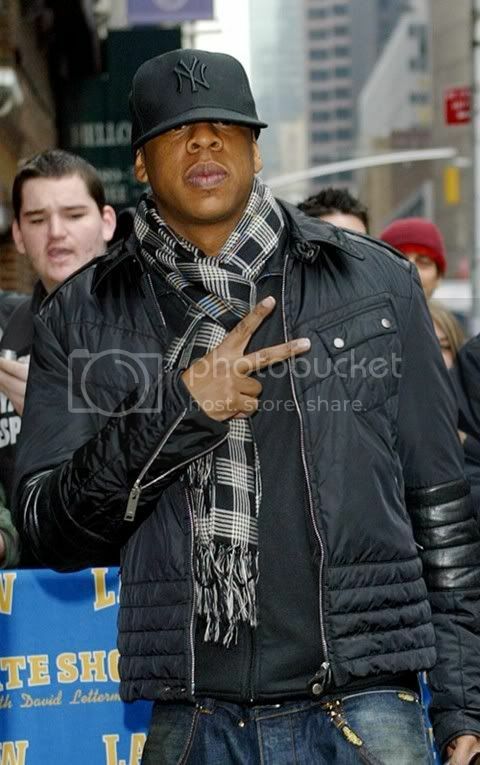 – jay-z rocks a scarf. ugh. thats it, i’m getting one. have a gay jay day. * – in this situation “jc” equals johnny cash…not jesus christ. also, listening to rap/hip-hop does not mean i am forsaking my Savior and following the devil. on the contrary, it brings me closer to Him. but that is for another day and another post – just turn on minority report and listen for Jesus’ voice. he is there. >january 31st is JT’s bday, i always remember that. don’t know why. Previous Previous post: >erwin mcmanus. Next Next post: >prop 8: the musical.